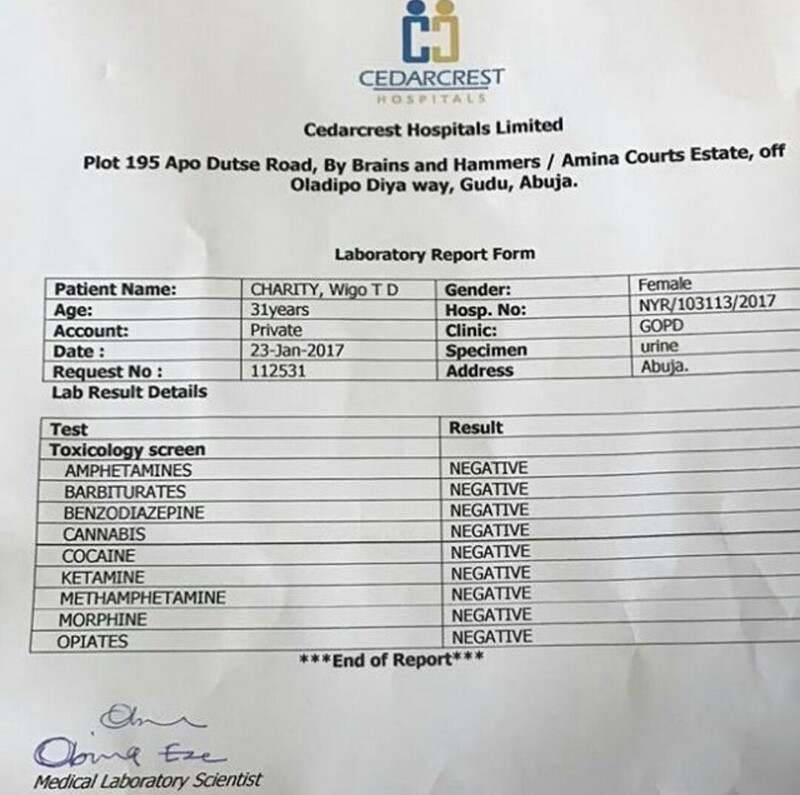 Tonto Dikeh uploads test results, to debunk rumors that her marriage crashed due to her drug addiction while breastfeeding. "I do this for MY GODI do this for MY SONI do this for the millions of People who draw strengt from my story/Journey!! !#MAMAKING #God bless you All #NEVER LET NEGATIVITY GET TO YOU BUT SOMETIMES PROVE THEM WRONG FOR THE ONES WHO LOVE YOU!!" I do this for MY GOD I do this for MY SON I do this for the millions of People who draw strengt from my story/Journey!!! #MAMAKING #God bless you All #NEVER LET NEGATIVITY GET TO YOU BUT SOMETIMES PROVE THEM WRONG FOR THE ONES WHO LOVE YOU! !